This blogpost was co-authored by Claire Fitch and Carolyn Hricko. Next week, the full Senate will vote on a potentially disastrous appointment to the President’s cabinet: Oklahoma Attorney General Scott Pruitt as the administrator of the United States Environmental Protection Agency (EPA). Not only does AG Pruitt have a history of antagonism toward laws designed to protect natural resources—like air and water—from pollution, but he also has expressed a desire to disempower the very agency he’s been nominated to lead. There is every reason to believe that he would pull back on strategies designed to mitigate climate change, and that he would do the same with rules intended to protect the public’s health and environment. Despite the resounding scientific consensus that climate change is real, the result of human activity, and a threat to human health, AG Pruitt has stated that the science on climate change is uncertain, and that proposed environmental regulations are unable to stop global warming.6 He has also sued over the EPA’s determination that greenhouse gas pollution endangers health and the environment, and has attempted to halt and roll back efforts critical to combatting climate change and protecting human health, including the EPA’s Clean Power Plan. It is imperative that we remain committed to our efforts to reduce emissions from power production considering that those from livestock production, which contribute more global anthropogenic greenhouse gas emissions than the entire transportation sector,7 are currently unregulated8 and receive little attention. When it comes to the agriculture sector, AG Pruitt has demonstrated a willingness to place industry interests above environmental protection. When he took office in Oklahoma in 2005, he inherited a case his predecessor had brought against 14 poultry companies for poultry waste pollution in the Illinois River Watershed. Elected in the midst of this suit, Pruitt received at least $40,000 in campaign contributions from poultry executives involved in the lawsuit or attorneys at the firms representing the companies.9 The federal judge still has not ruled on this case. Pruitt formed an agreement with Arkansas and the poultry companies involved to conduct a study on appropriate phosphorus levels in the Illinois River; he also shut down the specialized unit of four attorneys and a criminal investigator who initially brought the lawsuit against the poultry companies.9 Under Pruitt, a 2003 agreement between Oklahoma and Arkansas to reduce poultry waste pollution and monitor progress expired and was never renewed.9 These events demonstrate Pruitt’s allegiance to donors and may forecast his future actions—or lack thereof—taken to protect natural resources and the public’s health from agriculture-related pollution. Coal-burning power plant emissions cause smog, acid rain, air pollution, and the release of toxins, all of which can adversely affect the food system.10,11 Pruitt has tried to stop the EPA from requiring coal-burning power plants to install scrubbers to reduce air pollution in national parks. He has challenged efforts to reduce mercury, ozone, and carbon pollution. He has also challenged the Clean Water Rule: Definition of “Waters of the United States” (aka WOTUS) a rule that brought approximately 117 million Americans, or one in three people, under the clear protection of the Clean Water Act12 by covering additional waterways, like streams and wetlands, that can contribute to downstream pollution. We question AG Pruitt’s understanding and acceptance of the science so crucial to decision-making at the EPA, which we believe should disqualify him from consideration for the position of EPA administrator. We urge members of the U.S. Senate to consider these concerns in their vote next week. 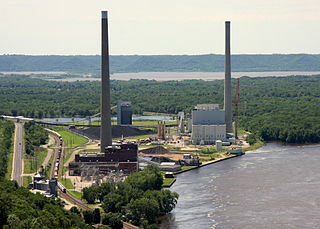 Image: Complex of coal burning electrical power generation plants on the Mississippi River seen from Buena Vista Park in Alma, Wisconsin. Jonathunder 2014, Wikimedia commons. Gerber PJ, Steinfeld H, Henderson B, et al. Tackling Climate Change through Livestock–A Global Assessment of Emissions and Mitigation Opportunities. Rome: Food and Agriculture Organization of the United Nations; 2013.